Professional medical display manufacturer, DIVA Lab. 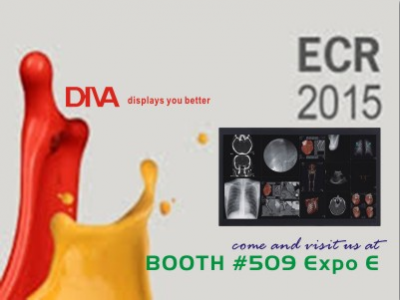 (4153), will present its cutting-edge medical solutions at the largest European radiological exhibition – ECR 2015 – in Vienna, Austria from March 4 to 8 (Expo E, #509) The latest product, the 58" 4Kx2K Quad FHD Monitor with MDM solution has wide application and can support a variety of video inputs. It is particularly suitable for using in special, professional occasions, such as operating room, medical center, teaching observation or broadcasting systems. This is the first time for DIVA to participate in the international exhibition show, and also the first time for its products to compete with rivals. Standing out from the competitors recognizes DIVA’s efforts in research and development, and also demonstrates DIVA’s aspiration: Building Locally, Growing Globally.